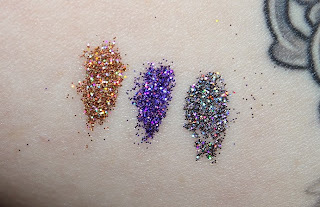 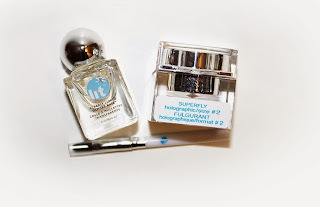 During my latest Sephora visit I managed to pick up all three Lit Holographic Glitter Kits. 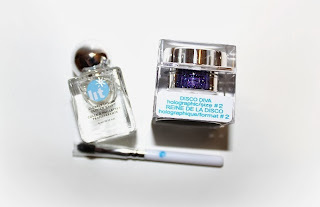 After the holidays I didn't expect Sephora to carry any more of the Lit sets, but man, am I ever thrilled they do! 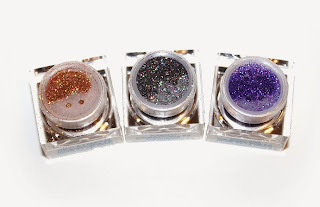 These glitters are part of Lit's newest collection Daze Holographic Glitter Collection. 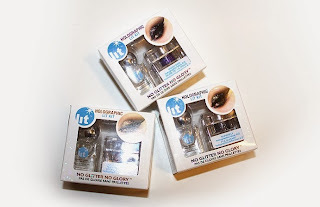 Lit glitters are probably the greatest selection of high-grade, cosmetic safe glitters on the market -- and at an affordable price! 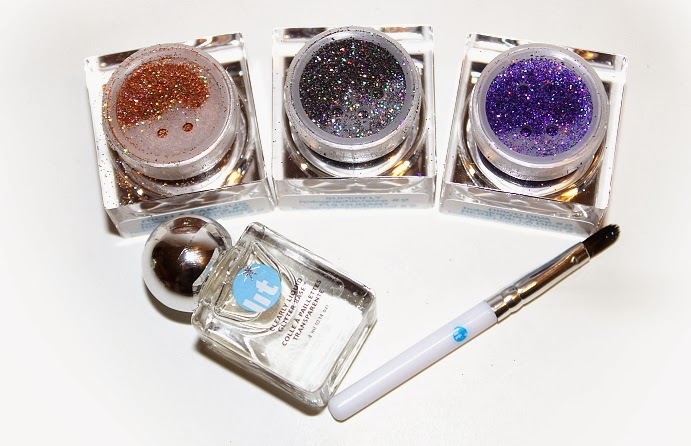 The Holographic Glitter Kit retails for $19.95 US ($22 CAD) Each contain a Holographic Glitter #2 (0.14 oz), a miniature synthetic brush and a miniature bottle of Clearly Liquid Glitter Base (0.14 oz). * Disco Diva is described as a purple multi-colored holographic glitter. * Rich & Famous is described as a gold multi-colored holographic glitter. 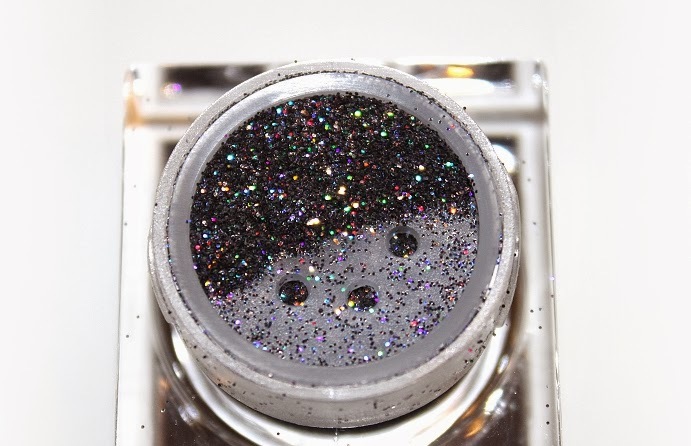 * Superfly is described as a dark gray multi-colored holographic glitter. 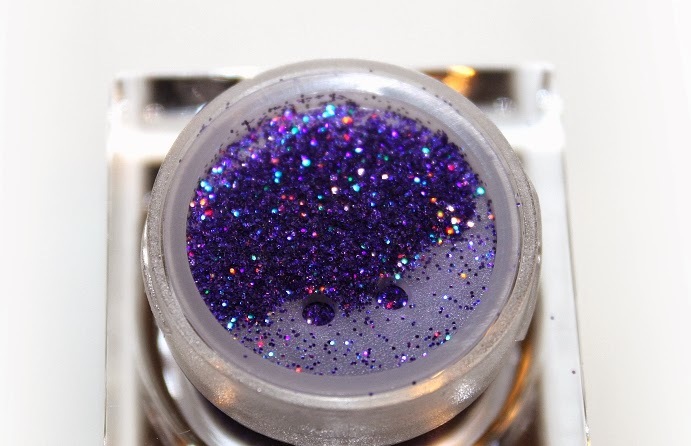 The Clearly Liquid Glitter Base is a thin adhesive that keeps your glitter in place all day. As the instructions on the box says, all you need is to dip your brush into the base, pick up some glitter and apply! The base doesn't feel strange or pull your skin once dry and it takes little to no effort to remove the glitter. It's quite a phenomenal product. 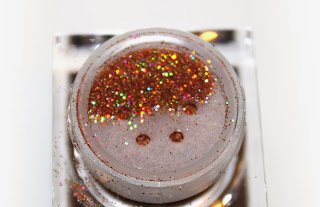 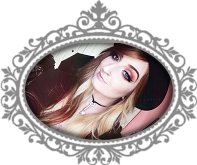 Previously, I had been using a sticky glitter liner as a base which could be tedious, so this product was definitely a win-win! 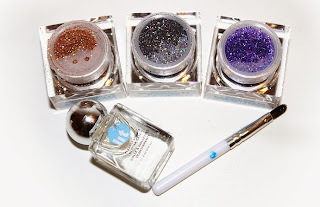 Thankfully with glitters the quality doesn't vary much and they tend to be the same. Lit glitters come in 3 different sizes but even with that, the ones in the kit are all #2. They're glittery, sparkly and beautiful to look at. Perfect for any New Years look! 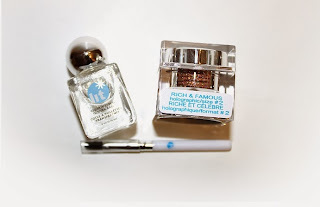 Can be purchased from Lit Cosmetics, Sephora Online and Sephora stores for a limited time.